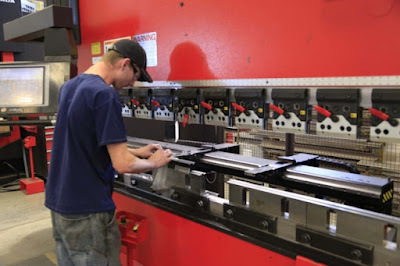 Everybody who looks for the first CNC punching machine to proceed with sheet metal has the question has the question what punching tool system he should use. 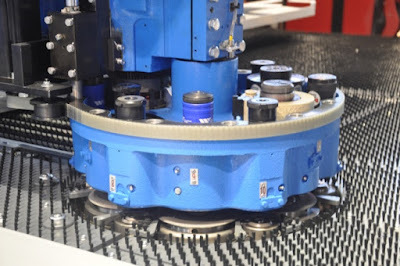 We will not speak about all the details because this is the role of the punching machine manufacturer. 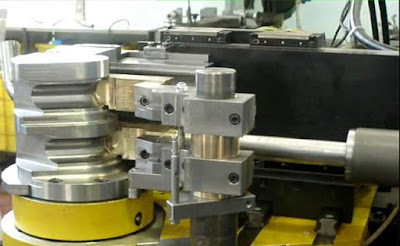 Anyway it is important to know some simple things – the main point for tool system of the punching machine is the specification of your production. Let’s explain. The simplest punching machine with CNC has one and only one station where you can put Multitool head. This is the most economy solution but with serious limits for production – for example you will have 8 tools with 24 mm max. diameter of tooling. One tool for sure will go for cutting operation (moreover this tool will be much smaller with length compare with bigger machines i.e. – more hits for cutting) so you will have 7 tools so 7 possibilities for different holes for the production part. This article will not about the limitation with speeds and production possibilities so we will ignore some moments. But for Multitool it is important to know that you will do standard parts but not the forming operation like punching of louvers. There are different Multitool heads on the market but there is everywhere the limits for tooling – more max. diameter for the tool – less tools quantity in Multitool head. Multitool in general is installed in the D-Station head (max. diameter 88,9 mm) so it means the punch machine we spoke about has one D-Station tool possibility. For sure for standard and modern Multitool heads all the tools inside are indexed – it means they could be rotated. The next generation and more expensive solution is the turret for example with 6 D-station which means, that you can use, let’s say, 3 Multitools inside + 3 tools for D-station. This solution has much more possibilities – you have much more tools in Multitool heads for small diameters, you can do normal cutting with big length tool (for example 80x5) and you can think what to install to other D-Stations. Today Multitool heads are presented from several manufacturers, but you need to be warned that one Multitool head can cost more than 5-6 thousand of EUR. Anyway Multitool offers great flexibility with indexed tools, there are different solutions on the market and it is very easy to find your Multitool punching tools supplier.